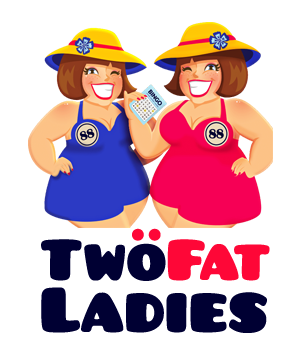 Play Two Fat Ladies Bingo and play with £88 plus 10 free spins on Temple of Ausar slot at Two Fat Ladies. Deposit £10 and play with £88 plus 10 free spins on Temple of Ausar slot at Two Fat Ladies. Claim 30 Free Spins for Paper Wins slot at Heart Bingo when register and spend £10 on any bingo or slot game, plus get up to £50 of free Bingo. New players only min £10 dep, 300% Bingo Bonus up to £100, Bingo Bonus wagering requirements apply: 3x (deposit + bonus). Spins on pre-selected games. Further T&C’s apply. Bingolobby.co.uk is an online bingo comparison website listing a wide range of bingo sites available to UK players. Over the years Bingo Lobby has grown to list new bingo sites, exclusive offers and promotions, including a new slots section launched in 2017. The team at Bingo Lobby are mad about bingo, with years of playing experience and are dedicated of ensuring players receive the latest bingo news and exclusive no deposit bingo offers as soon as they are released by bingo operators. UK Online Bingo Sites have hit the nation with a boom with new bingo sites launching left right and centre. If you’re new to online bingo or a dedicated player, be sure to check out our new bingo sites section for the latest bingo offers and bonuses. Bingo operators are keen to hear what players think of their new bingo site so many offer a no deposit bingo bonus to give players a chance to explore the site before making a deposit. Once you’ve claimed your bonuses, leave your feedback under the review tab found on each bingo page. No deposit bingo sites offer players a chance to explore the site and play bingo for without making a deposit. Terms and conditions apply to all bingo bonuses so it’s important that players read and agree too them before accepting any bonus. Generally no deposit bingo bonuses carry wagering requirements which means players will be unable to withdraw any cash prizes until a certain wagering limit has been met. It’s certainly worth players taking advantage of this offer before making a deposit. Over 18''s only, wagering requirements may apply.